"The boys have got what is in essence their own show, their own promotional company now" says Fitzpatrick. "We have a Promoter, but three of the boys (Luke Watkins, Sam Smith and Ryan Martin) are Chief Executives on the Board and I’m the CEO of it. It was my idea – it’s not one that other Promoters may like but that’s the way it is. It gives the lads a chance to see their own business and be part of their own business and make them responsible for their own business. You always hear the Promoters slagging off the Managers and fighter, the Managers slagging off the Promoters and fighters and the fighters slagging off the Promoters and Managers." "I’m always trying to say to the fighters that it’s not all about you guys either, but they say ‘yeah it is, we’re the ones taking the punches’ – but not all of them get that we aren’t all in this to serve the fighters, we’re in it to make a living too. Any coach that is saying they do it because they love it, get a different coach. They should want to see you improve so that they get more money; get a Manager who is in it for the money, get a Promoter in it for the money. The boys will soon realise there’s a lot of responsibility. Say they have a thousand seater venue, if you don’t sell X amount of seats, that show lose's money. You’re not going to put on a show every couple of months if it loses money. Everyone involved has to make money or break even. The boys will get that that pretty quickly. It’s a business. If you want it as a sport, stay amateur!" On April 8th, Trifecta comes to fruition. The result of hours and hours of planning, negotiating and now implementation, the first show under the banner comes to Swindon. 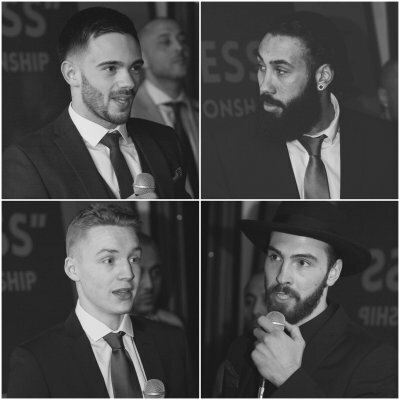 Taking place out of the Oasis Leisure Centre, a place that has homed many boxing night before, the 'Risky Business' show will give all involved a platform to show off their new product. The name of the show is apt for many reasons, unlikely to be a coincidence. Not only does it sum up the business step taken by Fitzpatrick, Ryan Martin Luke Watkins and Sam Smith, but is also fitting for the fights on the card. Headlining the show is young welterweight Ryan Martin, only 23 years old and with a record of 7-0, the Swindon native will be taking a huge step up to fight for the WBC Youth Title (a title held previously by the likes of Saul Alvarez, Timothy Bradley, Danny Garcia). 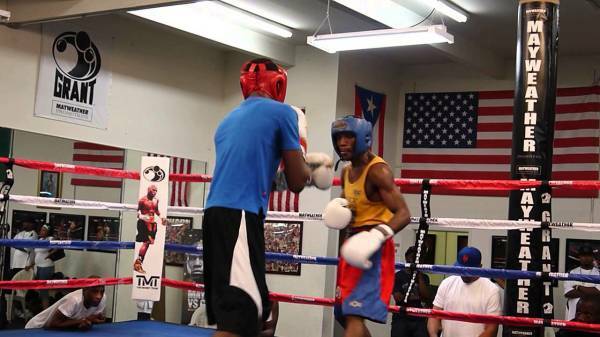 The fight is an opportunity for the young man to break out, become a star. But it is rare to see prestigious titles fought for on non-TV shows - so how has this fight come about? "It was hard work, a lot of work involved" explains Fitzpatrick. 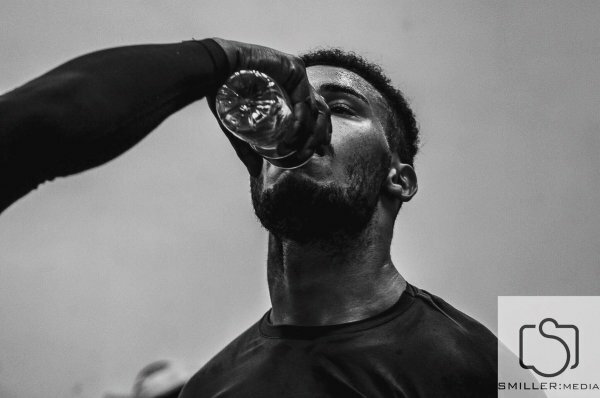 "When I’m in the gym plotting and planning the fights, that’s the Trainers head. Soon as that’s done you switch heads and start to scout what’s happening, what titles are freeing up, who is injured or moving on to different titles. It’s non-stop. They usually like guys that have had more than ten fights to contest titles. There are other precedents though; granted he’s a world class amateur but Lomachenko fighting for a world title in his second fight, it’s still a fighter fighting for a world title in less than ten fights. It leaves the door open for the conversation that yes, Ryan is only 7-0 but he was a high class amateur and there’s no reason he can’t be nominated for this fight." Contesting for the title with Martin will be another undefeated fighter as Michael McKinson looks to go home with the belt. 22 years old and with a 10-0 record, it is a fight that others may not have been looking to take but for Fitzpatrick, it is exactly the type of fight he wanted for Martin. "The deal was we had to have an opponent who has had more than ten fights, we got a guy who is undefeated 10-0 in Michael McKinson. I rate him, I think he’s a top fighter, it’s no soft touch whatsoever. We could have brought someone in from abroad and paid for a record but this is a real title and a real fight. Michael is coming because he believes he can do the business, we believe he can’t." ​Ryan Martin isn't the only Fitzpatrick trained fighter who will be taking a step up. Undefeated Luke 'The Duke' Watkins will be taking his first ten round fight in his 10th bout. The cruiserweight is into his 10th bout and as we speak, Fitzpatrick is in the process of trying to finalise an opponent. It is a task that is proving tricky. "Chris Sanigar, I spoke with him about Henry Smith who is ranked number 18 and said we will take that fight. Agreed the money, the date got moved and I let him know, agreed it is over ten rounds. He said he’d get back to me, so I rang him and he said Henry doesn’t want it. Boxrec had the fight listed but I never told them about it. Henry was on Facebook talking about it – but now Chris says he doesn’t want it? It’s nonsense. Now we are looking for someone else for Duke. I don’t think it was Henry at all, I think it was Chris. Henry is a fighting man, he doesn’t shy away from a fight, it’s not in his makeup." If the circumstances had been slightly different, Paddy tells me that by now Watkins may have had his first major title opportunity. "We got offered a straight shot at the British title just before Christmas against Craig Kennedy. After other fights got delayed through injury, Sanigar didn’t want Kennedy waiting around that long for his lad to get a shot so he called and offered it. It was three questions; where, when and how much? He gave us a date which was OK. He said it would be neutral – it was going to be in Newport in Wales, 10 minutes down the road from them. That’s not neutral, but that’s fine as we are going for a title so we will travel, but don’t try to mug me off. I asked how much, he asked how much we wanted. That’s not how I see this working – he called me, he should make me an offer. The offer that was eventually made was way off, so we ended the conversation." It won't be long though until The Duke finds himself fighting for major titles. Fitzpatrick and the team have secured the chance to pick up a belt later in 2017. "Duke is fighting for the Irish title in June. The Irish Board have nominated him with Ian Timms and we are in negotiations now up until April 10th, when it goes to purse bids. If Duke wins the Irish title, he is the first black champion, so it’s a bit of history that will hopefully get him known by the fans over there. I've had a few discussions with MTK who manage him, we made them an offer but there's no agreement yet. We're willing to do whatever possible to secure the fight for over here, but if it ends up in Ireland it's a great consolation prize as it gives Duke the opportunity to build his profile over there and me a chance to get home for a decent Guinness!" ​Big fights are where Fitzpatrick wants his undefeater cruiserweight to be, having served his apprenticeship around the UK and overseas. "Duke has always been a good ticket seller in Swindon since he started fighting" says Fitzpatrick. 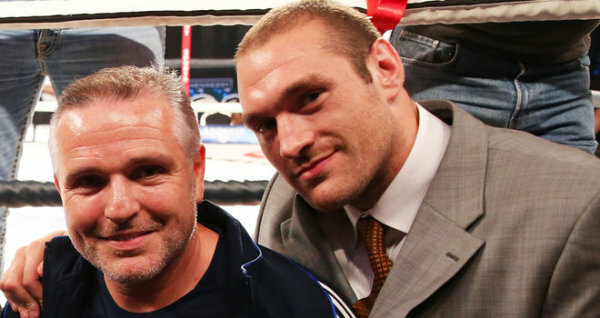 "He turned pro on the George Groves challenge against Rebrasse for the European title, then I paid out my own pocket to take him to Germany and fight on the undercard of Paul Smith against Arthur Abrahams. I wanted him to have those experiences early. Duke has been with me for nearly nine years now, since he first put gloves on. If he ever does have to travel for a fight I wanted him to have that experience and it doesn’t suddenly become a big emotional issue. He’s done that in his second fight in front of over 5,500 people as he was on just before the main event. He’s had different experiences so he’s ready for a big night." ​As Fitzpatrick tells me, there are options out there, but having such a hot prospect makes finding opponents all the more difficult. "We’re not running out of options. We have the Irish title regardless. If Ian Timms says no, the next one to be nominated will be Tommy McCarthy. After that we will see – we can only do what we can do, if we keep making the right moves then something has to happen. We’re a million miles from where we want to be still, but we want to be diligent with everything that we are doing. It’s time for Duke to be in those fights, but you can only open those conversations. If people don’t want to have them then that’s up to them. So now, we’re fighting April 8th, then June time hopefully against Ian Timms. His people have said he may be in another fight, I get that, it’s business. Steve Goodwin has every cruiserweight except for Duke! Fair play to him, you can’t be mad at that, I like his style. Henry Smith has said no to the fight. Karl Wheeler is fighting Wadi Camacho. Martin Grainger we were supposed to fight in November in an eliminator, we offered him decent money to come down. We get a phone call two weeks later saying he changed his mind as he was too busy working now and the job gets in the way. That’s cool, it’s disrespectful to assume the man’s position. But surely if you worked that hard to get to an eliminator – surely you would take it? " 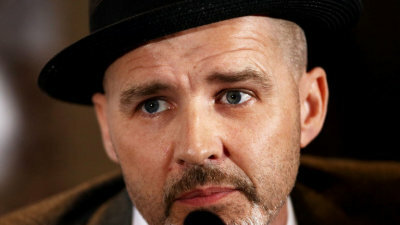 ​A fight with Tommy McCarthy has been discussed for later this year too. Having turned the bout down earlier in his career, Fitzpatrick feels vindicated that he made the right choice. McCarthy, who himself lost an eliminator for the British title, and his team have struggled to reach terms though to the frustration of Fitzpatrick. 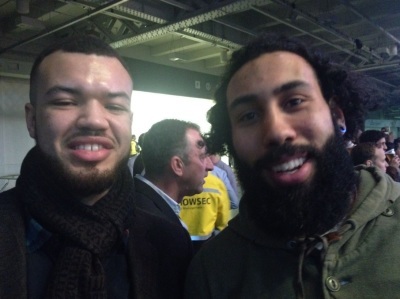 A chance meeting between the parties happened at the recent Chris Eubank fight - Paddy was quick to pull the camera out and snap Tommy and Duke together for an awkward moment. "I like Tommy" says Fitzpatrick. "If Duke comes through the Ian Timms fight and becomes the firstblack Irish champion he has to make the first defence against Tommy - that will be another first, two black men contesting the Irish title. Duke tells people he's Blackerish!" ​It's exciting times down in Swindon. A bubbling boxing scene has been given a boost by the introduction of Fitzpatrick and his Trifecta movement. 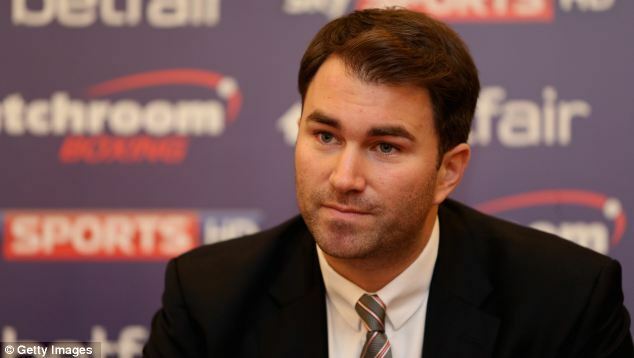 It is an interesting move, allowing fighters commercial responsibility as well as the requirement to box. Risky Business is just that; boxing wise, career wise, business wise. However you get the sense from Fitzpatrick that all of this has been thought through, handled in the shadows with his team before making the move. Time will tell if the project works out. April 8th at the Oasis Leisure Centre is the start of the story.